Used primarily in the local shoreline waters of Lake Pontchatrain in southern Louisiana. She has been very well maintained and all systems are operational. She is a solid and heavy boat that will last a lifetime. Stock #113937 Custom Yacht Tender Built by the New York Yacht Service in 1950. Restored in 2008. If you are in the market for an antique and classic boat, look no further than this 1950 Eastern 16 Runabout Tender, just reduced to $20,000 (offers encouraged). 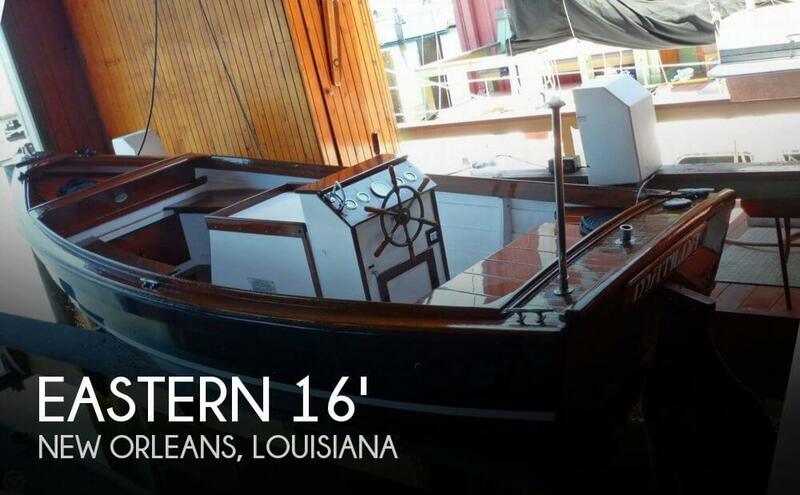 This boat is located in New Orleans, Louisiana and is in great condition. She is also equipped with a Universal engine that has 999 hours. Reason for selling is no longer using.